• A standalone 63 PAGE multi-episode adventure for several sessions of play! • New rules for wartime investigations, including tanks and Stukas! • An “Operational Briefing” and many other beautiful handouts! • Four pre-generated characters to get you playing immediately! Please note this is currently a PDF only product. At the end of the series, the full set of PDF's in each campaign will be compiled as one printed book. Buyers of the PDF's will also get a discount on our print releases. Imminent episodic Achtung! 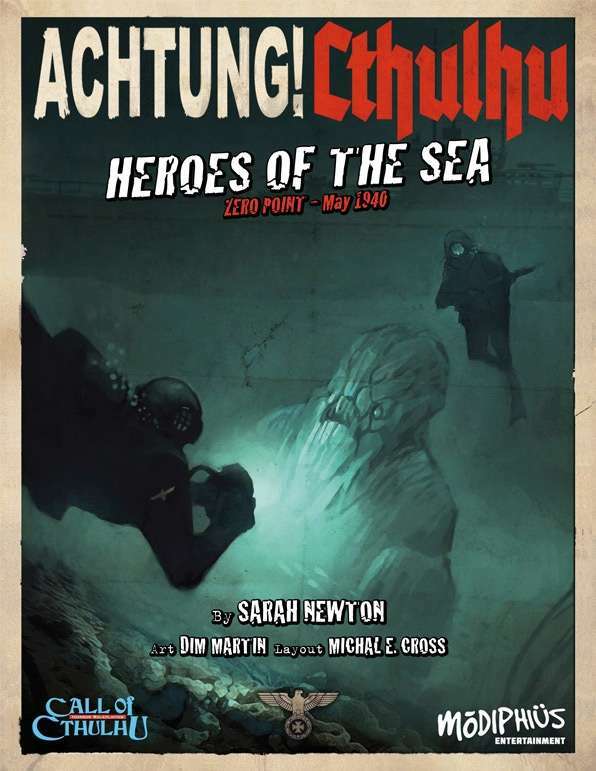 Cthulhu releases will set the stage for the campaigns and main setting arriving in the Spring. Written for the popular Call of Cthulhu roleplaying setting (Savage Worlds, Trail of Cthulhu & PDQ versions to follow), Achtung! Cthulhu will thrust your characters in to the midst of a dark and desperate struggle, as Cthulhu's minions take advantage of the chaos wrought by the Third Reich to topple civilization! The massive world-spanning Achtung! Cthulhu setting features occult conspiracies, terrifying Nazi war machines, and an ancient evil so powerful that it threatens to tear the world apart! This title was added to our catalog on October 11, 2012.